Ensemble Klang are Heiko Geerts and Erik-Jan de With saxes, Anton van Houten trombone, Saskia Lankhoorn piano, Joey Marijs percussion, and Pete Harden electric guitar. Vermont Rhythms (2008/9) - Tom Johnson: This piece is called Vermont Rhythms because it would never have been written without the cooperation of two Vermont mathematicians, working at the University of Vermont in Burlington. In answer to a question of mine, Susan Janiszewski, with her advisor, Professor Jeffrey H. Dinitz, constructed a remarkable list of all the 462 six-note rhythms possible in an 11-beat period. Their impressive list distributes the rhythms in 42 groups of 11, each group forming an 11 by 11 square. All 42 squares contain six elements in each row and six elements in each column, giving maximal rhythmic variety within the 11 phrases of each square. Each six-note rhythm has exactly three beats in common with each of the 10 others, and mathematicians will appreciate additional symmetries in these configurations. My primary interest was the 462 rhythms, but I soon realized that I could choose pitches by employing the 462 six-note chords possible on an 11-note scale at the same time, so I did that too. Of course, much of this organization will not be heard consciously, even by very astute listeners, but some of it will be quite clear to everyone, and it is satisfying to know that many unheard symmetries are also present, reflecting one another in the background. Tom Johnson (above), born in Colorado in 1939, received B.A. and M.Mus. 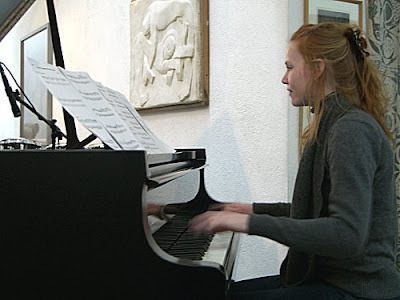 degrees from Yale University, and studied composition privately with Morton Feldman. After 15 years in New York, he moved to Paris, where he has lived since 1983. He is considered a minimalist, since he works with simple forms, limited scales, and generally reduced materials, but he proceeds in a more logical way than most minimalists, often using formulas, permutations, and predictable sequences. Tom is well known for his operas: The Four Note Opera (1972) continues to be presented in many countries. Riemannoper has been staged more than 20 times in German-speaking countries since its premier in Bremen in 1988. Often played non-operatic works include Bedtime Stories, Rational Melodies, Music and Questions, Counting Duets, Tango, Narayana's Cows, and Failing, a very difficult piece for solo string bass. His largest composition, the Bonhoeffer Oratorium, a two-hour work in German for orchestra, chorus, and soloists, with text by the German theologian Dietrich Bonhoeffer, was premiered in Maastricht in 1996, and has since been presented in Berlin and New York. The Voice of New Music, a collection of articles written 1971-1982 for the Village Voice, published by Apollohuis in 1989, is now in the public domain and can be downloaded from Tom's website. The principal recordings of his music currently available on CD are the Musique pour 88 (1988) (XI), An Hour for Piano (1971) (Lovely Music), The Chord Catalogue (1986) (XI), Organ and Silence (2000) (Ants), and Kientzy Plays Johnson (2004) (Pogus). 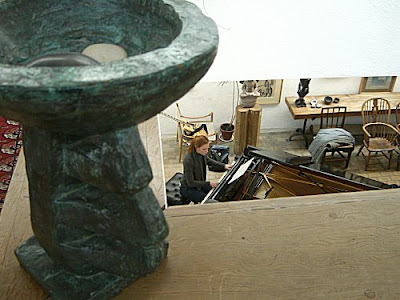 Tom received the French national prize in the Victoires de la musique in 2001 for Kientzy Loops. Composer website here. Doret turns and dies a slow and sorrowful death (2005) - Pete Harden: Doret turns and dies a slow and sorrowful death is a musical memento mori. The work tackles emotional expression through limited language, and how the meaning of that language can change while the words, or lack of words, remain constant. 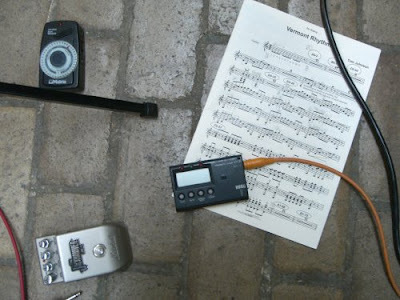 Pete Harden (England, 1979) is a composer and performer. He studied in England and the Netherlands with among others Michael Zev Gordon, Vic Hoyland, Louis Andriessen, Gilius van Bergeijk and Richard Ayres. 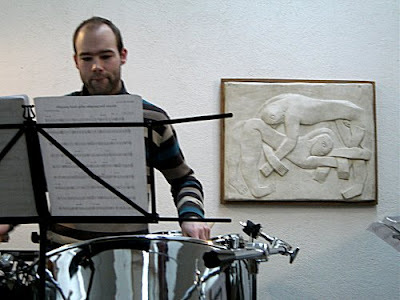 He has had works performed by, among others, Orkest de Volharding, Orkest de Ereprijs, Ensemble Klang and the ASKO ensemble and has written for solo instruments, chamber ensembles and large ensembles with choir along with a number of larger-scale music-theatre pieces. 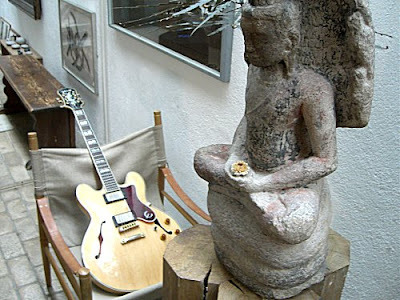 He has had his music broadcast both on Dutch national radio and television. Music for People who Lose People (2007/8) - Andrew Hamilton: "music for people who lose people" is in two parts. Both parts are concerned with questioning the difference between exact repetition and music that is always being slightly varied. The first part is unashamed in its harmonic stasis while the second part tries to pretend that the harmony is going somewhere but can't really find a good destination. 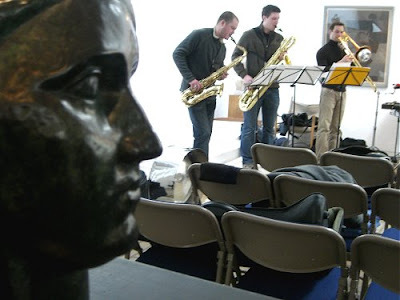 This work was commissioned with funds from the Arts Council of Ireland. MySpace with audio samples here. Andrew Hamilton (Dublin, 1977) studied in Ireland, England and the Netherlands. 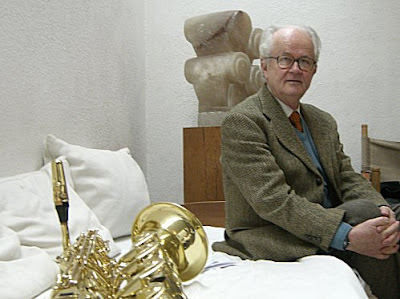 His teachers have included Kevin Volans, Anthony Gilbert and Louis Andriessen. 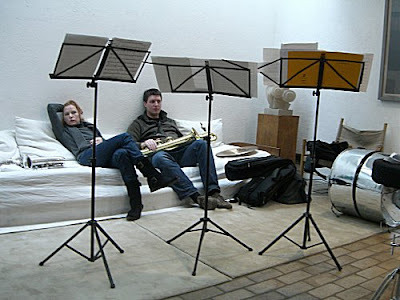 Recent works have been performed by the Ives Ensemble, Orkest de Volharding and Orkest de Ereprijs. He also wrote a series of chamber works which were performed at Akademie Schloss Solitude, Stuttgart where he was a fellow from 2005 to 2006. Future plans include new pieces for Crash Ensemble and the Irish Chamber Orchestra. Ensemble Klang - Formed in 2003, Ensemble Klang quickly earned a reputation as one of the most exciting young ensembles on the Dutch contemporary music scene. Dedicated to a new generation of composers, the group are building a repertoire of bold, uncompromising works. The unique yet versatile instrumentation - saxophones, trombone, keyboards, percussion and guitar - ranging from a quiet, fragile intimacy to the punchy power of a big-band has attracted many composers including Heiner Goebbels, Martijn Padding, Fabian Svensson, Jacob ter Veldhuis, Kate Moore, Jan-Bas Bollen, Oscar Bettison and Peter Adriaansz. 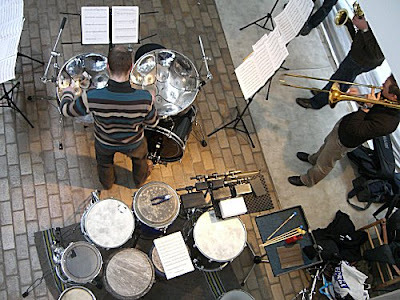 Performing without a conductor, the result in concert is one where complex music requiring virtuosic accuracy and precision is played with the energy, drive and passion of a band. The group has performed extensively across the Netherlands, and also in Belgium, the Czech Republic, the United Kingdom and the United States, and in the Netherlands they have been featured on both national television and radio. 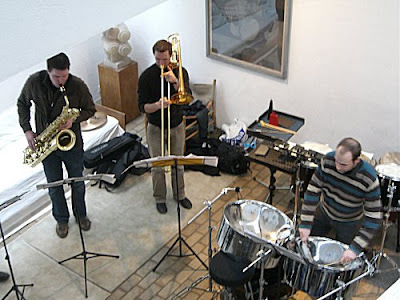 In 2008 they worked closely with highly-acclaimed German composer/director Heiner Goebbels on a new version, tailor-made for Klang, of his evening-long theatre work Walden - YouTube sample here. Ensemble Klang website here and MySpace with audio samples including Music for people who lose people here. 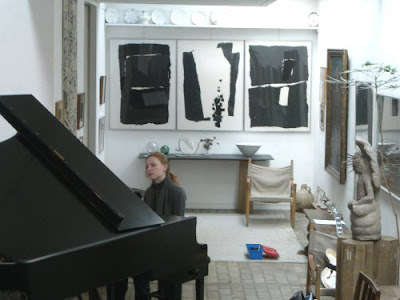 Details of Kettle's Yard New Music Programme here. The programme is supported by The Faculty of Music, University of Cambridge, Dr Shirley Ellis, The PRS Foundation, The Ralph Vaughan Williams Trust, The Hinrichsen Foundation and The Holst Foundation. Thank you so much for this, I really wanted to see this concert and was unable to, I'm sure you will agree that these concerts are great for Cambridge- I always appreciate your blog and this made me all the more certain not to miss any of the other coffee series. Enjoyed the review of the concert. Great also to see the Andrew Hamilton piece programmed. More info on him can be found at the CMC (Irish Music Information Centre) web site - www.cmc.ie/composers. Best.